With surprising candor and transparency pastor Andy Stanley explains how one of America’s largest churches began with a high-profile divorce anda church split. You’ll be introduced to North Point's spiritual formation model: The Five Faith Catalysts. Leaders responsible for ministry programing and production will no doubt love Andy’s discussion of the three essential ingredients for creating irresistible environments. 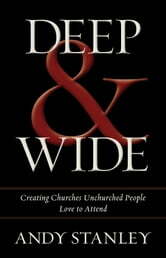 For pastors willing to tackle the challenge of transitioning a local congregation, Andy includes a section entitled: Becoming Deep and Wide. 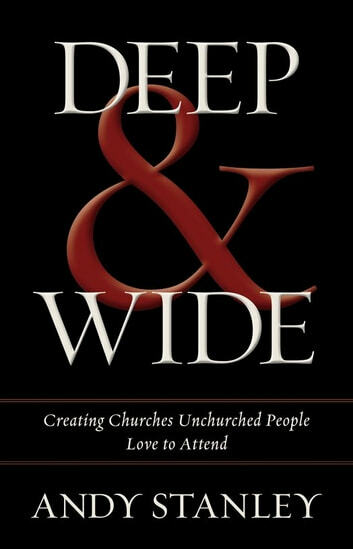 If your team is more concerned with who you are reaching than who you are keeping, Deep & Wide will be more than a book you read; it will be a resource you come back to over and over!